A HUNTERS DREAM!!!!!! Bear, Moose, Elk, Whitetail, Bobcats, Coyotes, Wolves, Turkeys and occasionally COUGARS! Property is on Reservoir Creek Rd off of US-141. 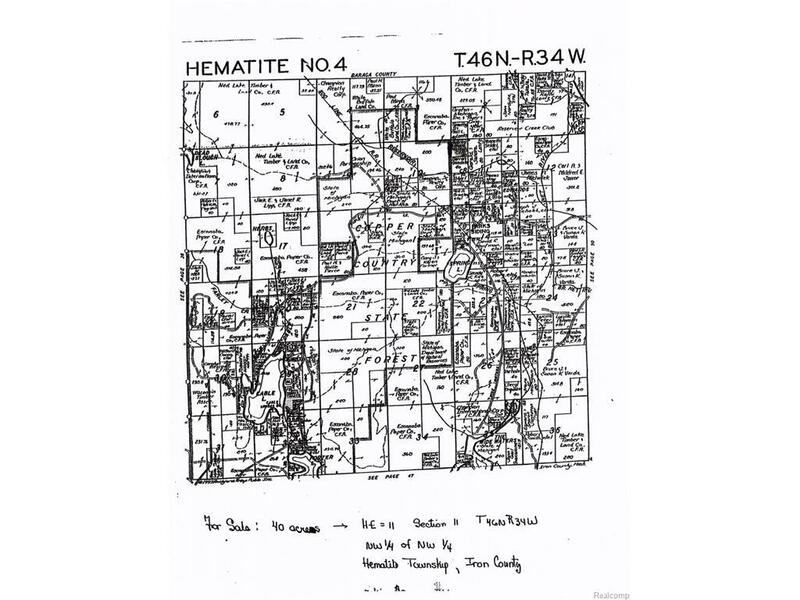 Property is under the State Forestry Act and is due to be timbered soon. 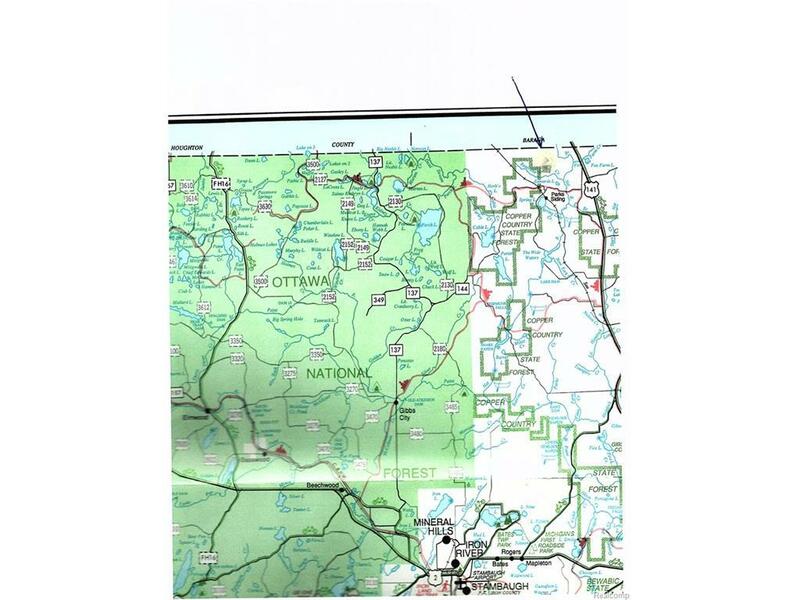 Property is just North of Spring Lake and Northeast of Cable and Porter Lake. Cable Lake is a 333 acre lake with a maximum depth of 30'. Cable Lake is well known for the trophy Northern Pike and large number of Walleye!Porter Lake is well known for for large Walleye, Northern Pike, and Large Mouth Bass!! !